We had reported earlier that something had transpired at the WWE Hall of Fame ceremony that led to a 2-year long tenure of WWE Writer RD Evans come to an end. While some reports stated that he was, in fact, fired by Vince McMahon, others claimed that Evans left on his own accord. As per the latest backstage information, it is safe to assume that McMahon did not fire Evans, and it was, in fact, the writer who chose to quit on the spot. Vince McMahon was allegedly furious at Evans for mentioning his name in the Hall of Fame speech of Bret Hart. As DX would later make fun of, Vince McMahon is known to hate his name coming up during the HOF ceremony for some reason. Not taking kindly to this, Vince McMahon gave an earful to Evans which eventually led to the writer calling it quits. “We had a head writer step down [Road Dogg] and another writer [Evans] immediately walk to Gorilla, shake Vince’s hand, and say ‘I hope you learned something tonight’ and then quit his job. If that’s not an indication of the bone-headedness and stubbornness that sometimes goes on in that space then I don’t know what is. Vince McMahon is known to be stubborn and it shouldn't come as a surprise when his employees decide to quit because of that. 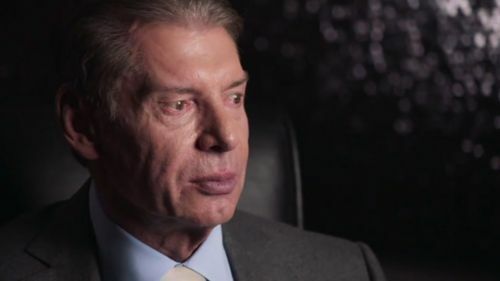 With prominent backstage personnel like Road Dogg and RD Evans quitting, Vince McMahon may finally try to change his ways for the positive in the future.